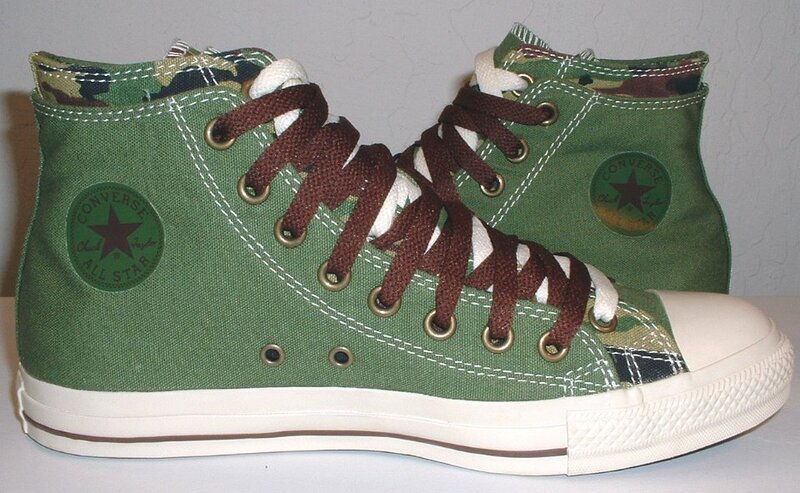 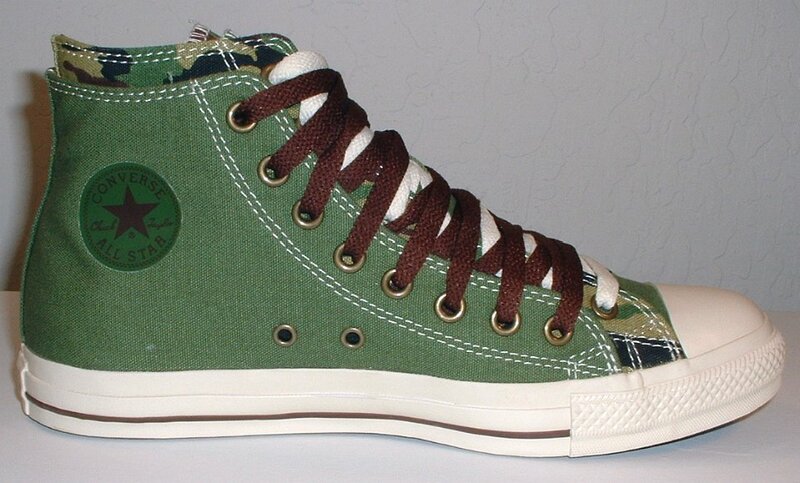 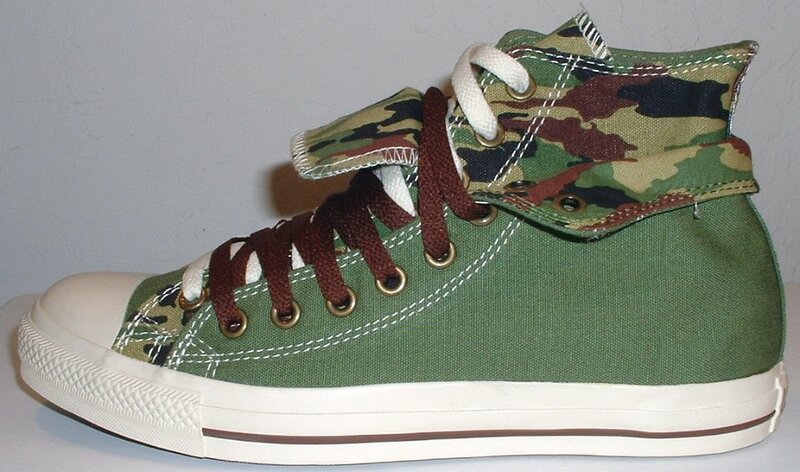 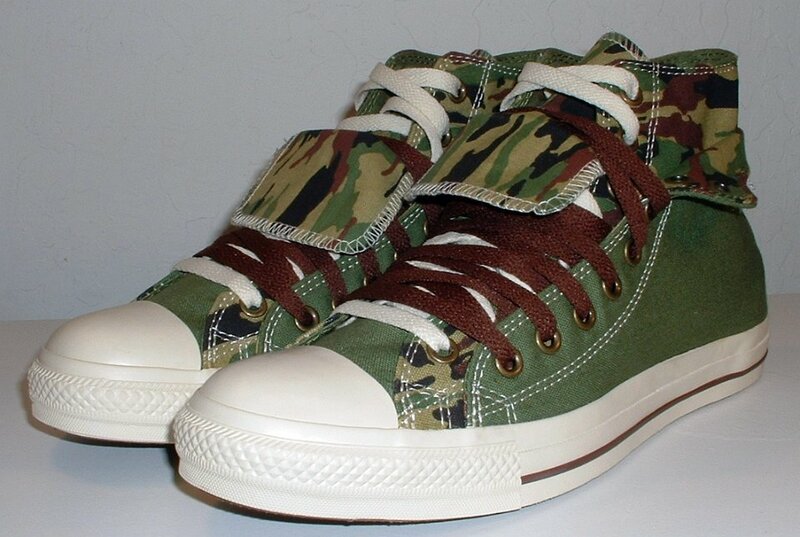 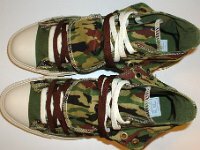 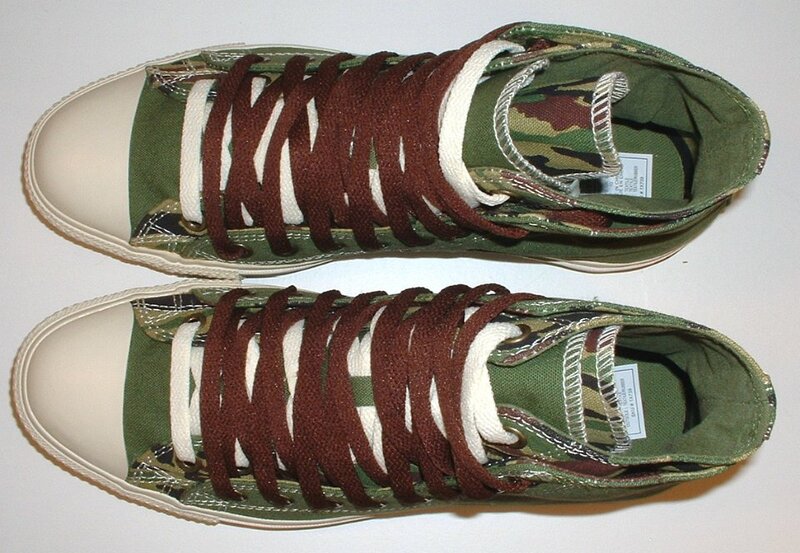 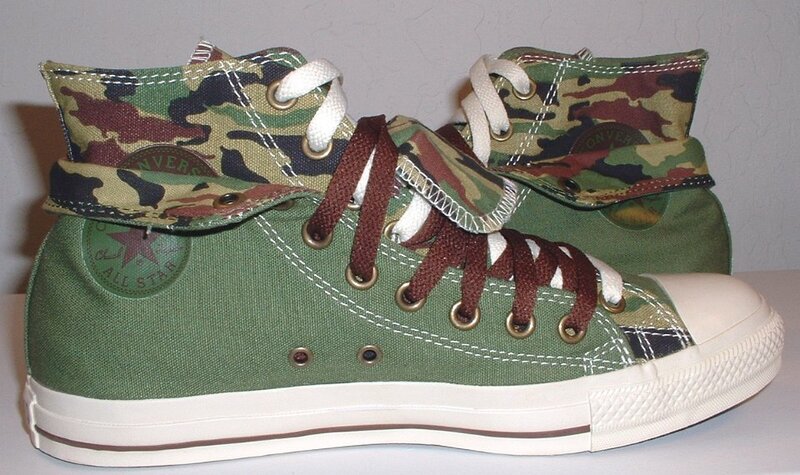 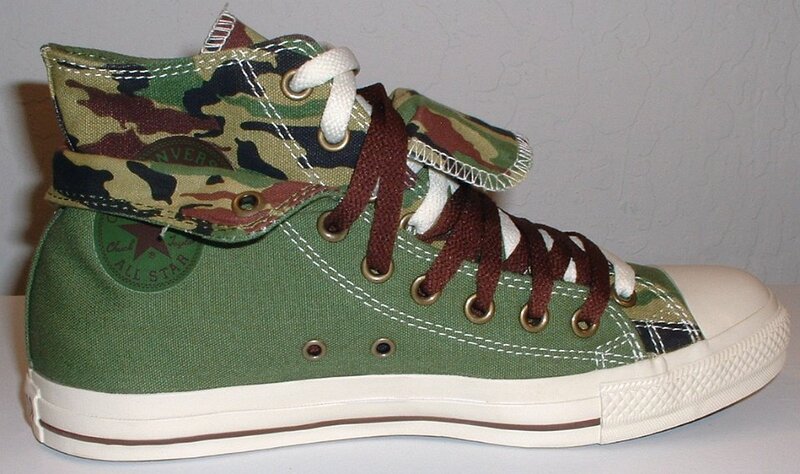 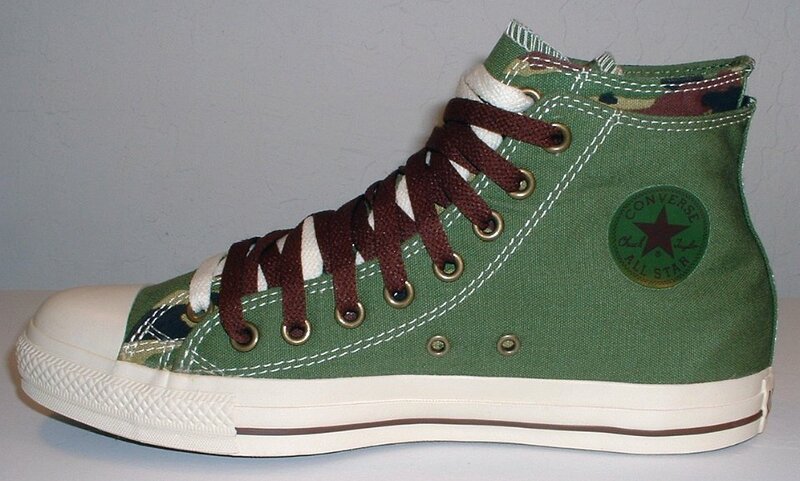 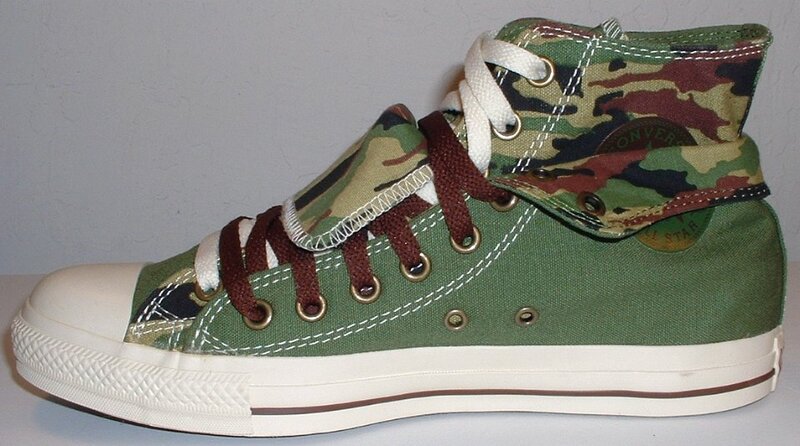 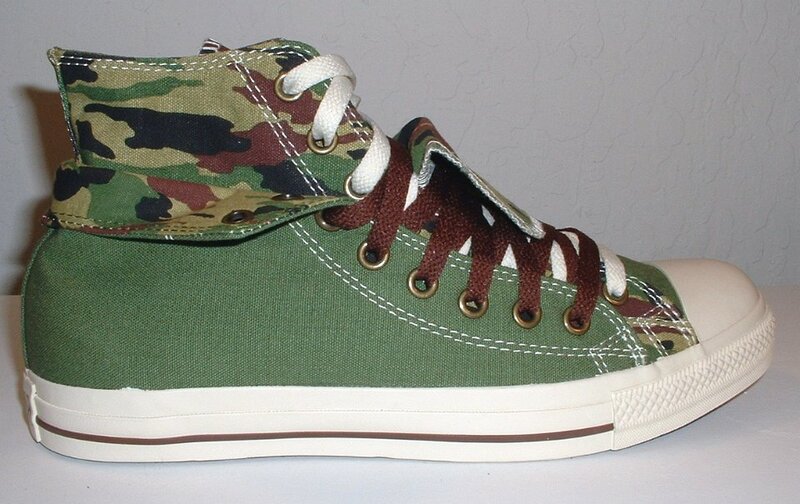 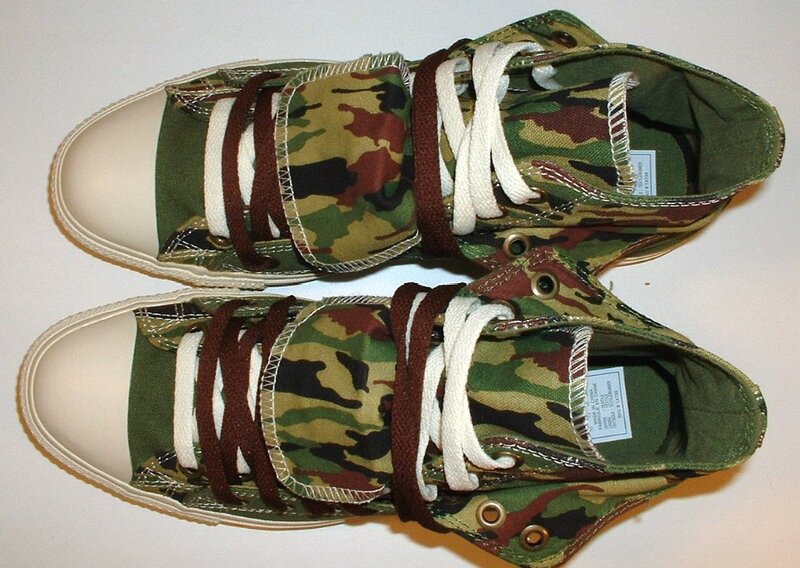 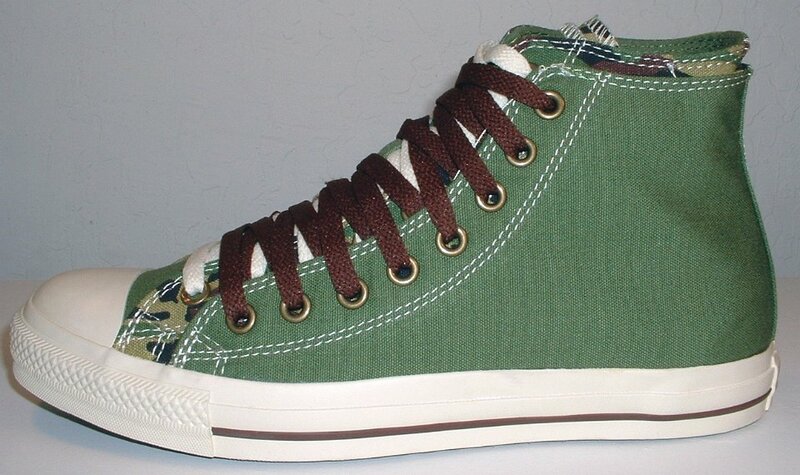 Photo gallery of an olive, brown, and camouflage print double upper high top pair of chucks. 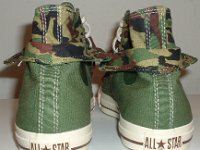 1 Olive, Brown and Camouflage Double Upper High Top Chucks Inside patch view of a left olive, brown, and camouflage double upper high top. 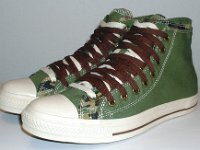 2 Olive, Brown and Camouflage Double Upper High Top Chucks Outside view of a left olive, brown, and camouflage double upper high top. 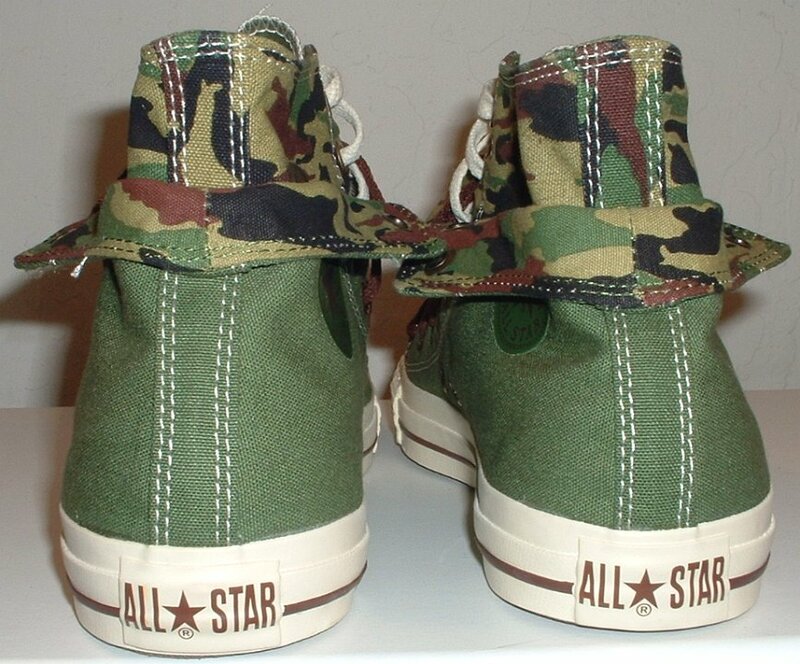 3 Olive, Brown and Camouflage Double Upper High Top Chucks Inside patch view of a right olive, brown, and camouflage double upper high top. 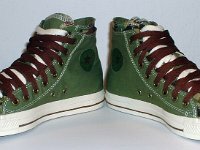 4 Olive, Brown and Camouflage Double Upper High Top Chucks Outside view of a right olive, brown, and camouflage double upper high top. 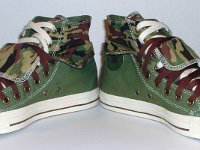 5 Olive, Brown and Camouflage Double Upper High Top Chucks Rear view of olive, brown, and camouflage double upper high tops. 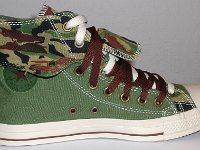 6 Olive, Brown and Camouflage Double Upper High Top Chucks Front view of olive, brown, and camouflage double upper high tops. 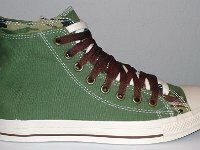 7 Olive, Brown and Camouflage Double Upper High Top Chucks Angled side view of olive, brown, and camouflage double upper high tops. 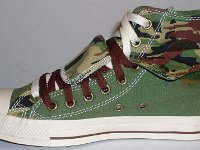 8 Olive, Brown and Camouflage Double Upper High Top Chucks Angled front views of olive, brown, and camouflage double upper high tops. 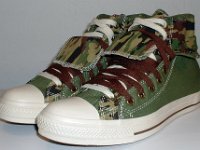 9 Olive, Brown and Camouflage Double Upper High Top Chucks Top view of olive, brown, and camouflage double upper high tops. 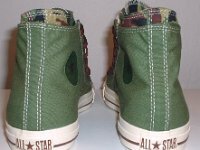 10 Olive, Brown and Camouflage Double Upper High Top Chucks Inside patch views of olive, brown, and camouflage double upper high tops. 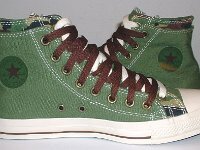 11 Olive, Brown and Camouflage Double Upper High Top Chucks Inside patch and sole views of olive, brown, and camouflage double upper high tops. 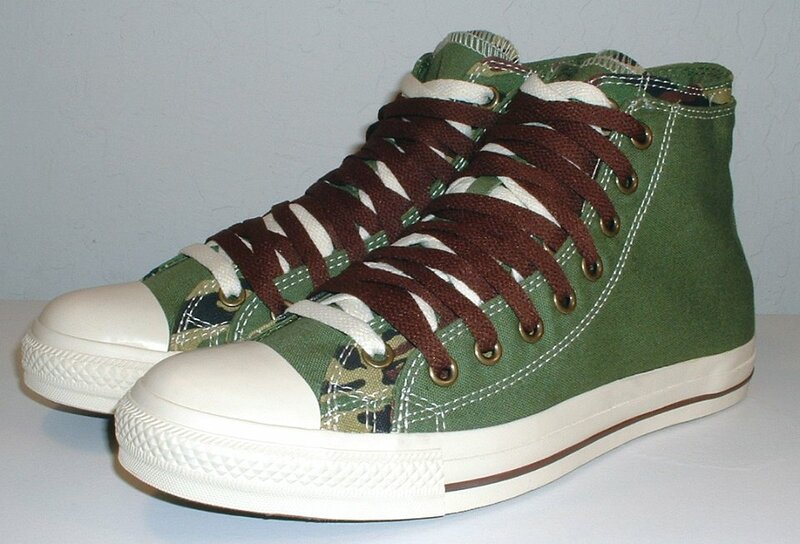 12 Olive, Brown and Camouflage Double Upper High Top Chucks Outside view of a right olive, brown, and camouflage double upper high top, with the outer upper rolled down. 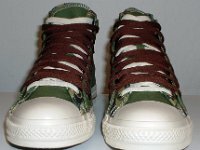 13 Olive, Brown and Camouflage Double Upper High Top Chucks Inside patch view of a right olive, brown, and camouflage double upper high top, with the outer upper rolled down. 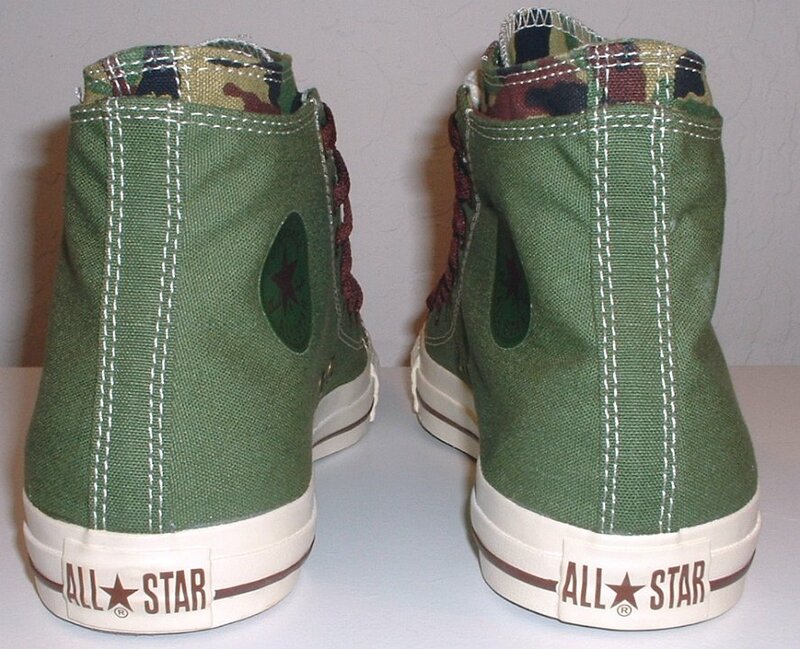 14 Olive, Brown and Camouflage Double Upper High Top Chucks Inside patch view of a left olive, brown, and camouflage double upper high top, with the outer upper rolled down. 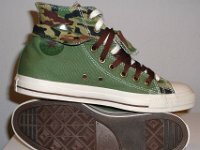 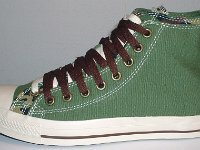 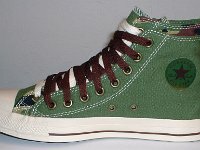 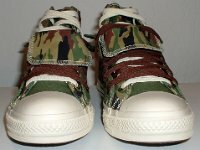 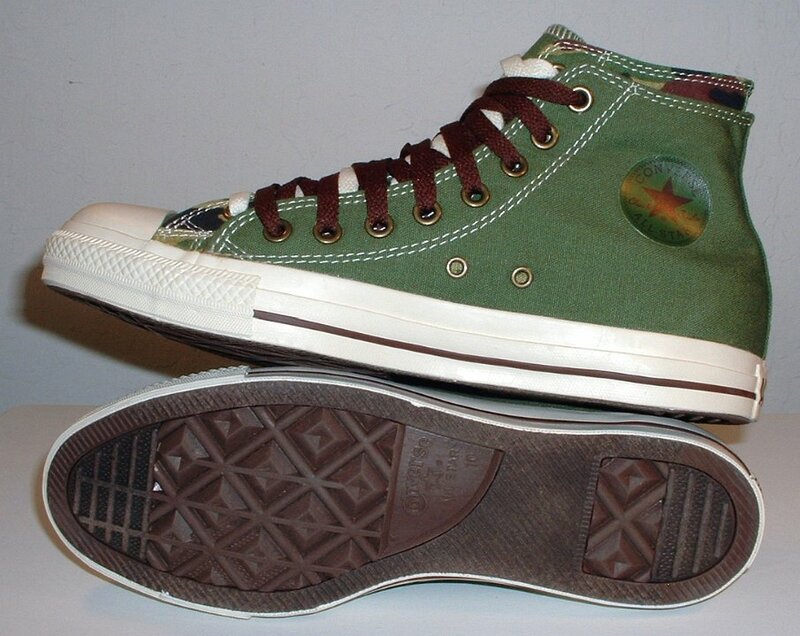 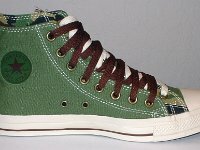 15 Olive, Brown and Camouflage Double Upper High Top Chucks Outside view of a left olive, brown, and camouflage double upper high top, with the outer upper rolled down. 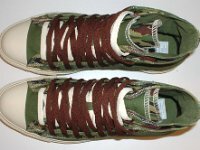 16 Olive, Brown and Camouflage Double Upper High Top Chucks Rear view of olive, brown, and camouflage double upper high tops, with the outer upper rolled down. 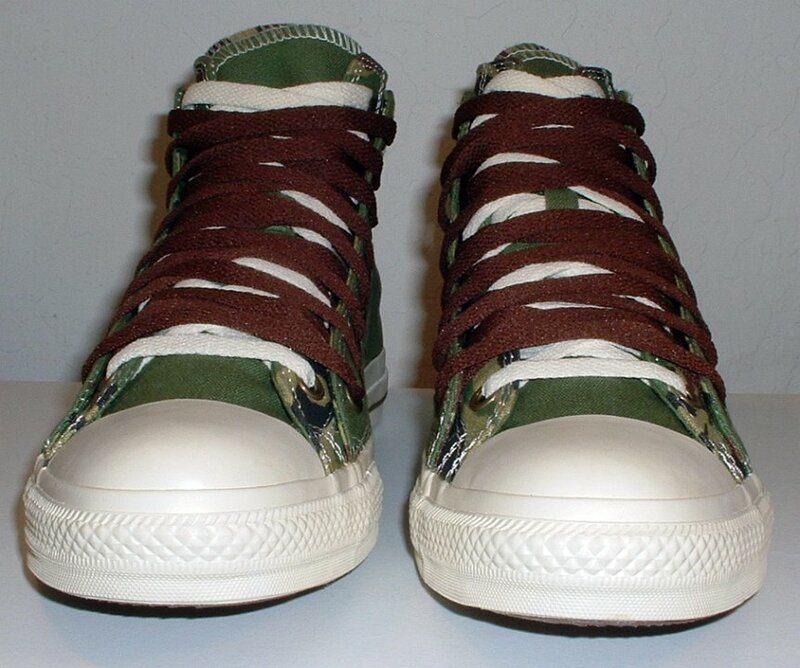 17 Olive, Brown and Camouflage Double Upper High Top Chucks Angled side view of olive, brown, and camouflage double upper high tops, with the outer upper rolled down. 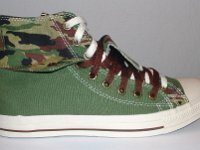 18 Olive, Brown and Camouflage Double Upper High Top Chucks Front view of olive, brown, and camouflage double upper high tops, with the outer upper rolled down. 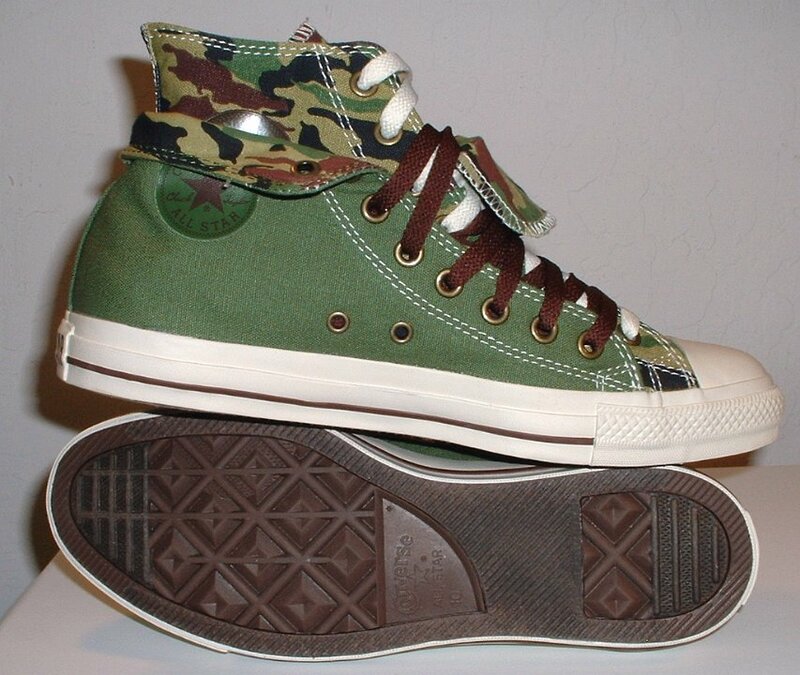 19 Olive, Brown and Camouflage Double Upper High Top Chucks Inside patch views of olive, brown, and camouflage double upper high tops, with the outer uppers rolled down. 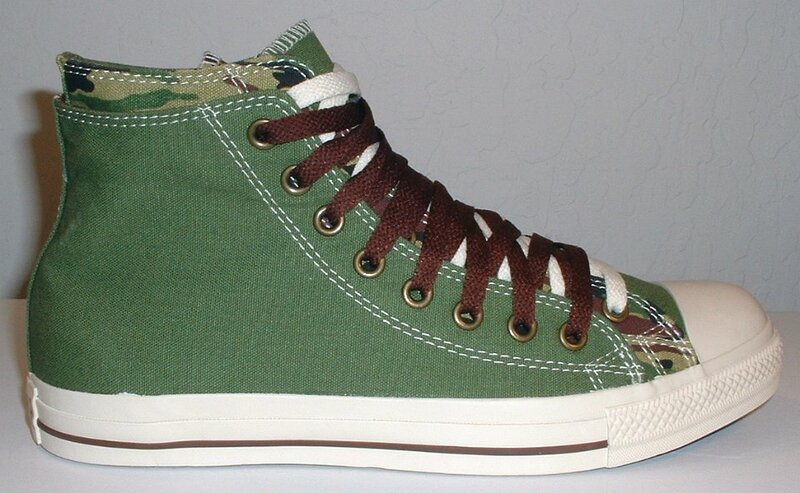 20 Olive, Brown and Camouflage Double Upper High Top Chucks Top view of olive, brown, and camouflage double upper high tops, with the outer upper rolled down. 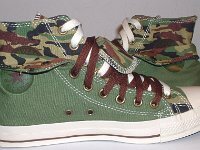 21 Olive, Brown and Camouflage Double Upper High Top Chucks Angled front views of olive, brown, and camouflage double upper high tops, with the outer uppers rolled down. 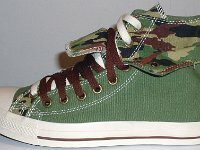 22 Olive, Brown and Camouflage Double Upper High Top Chucks Inside patch and sole views of olive, brown, and camouflage double upper high tops, with the outer uppers rolled down. 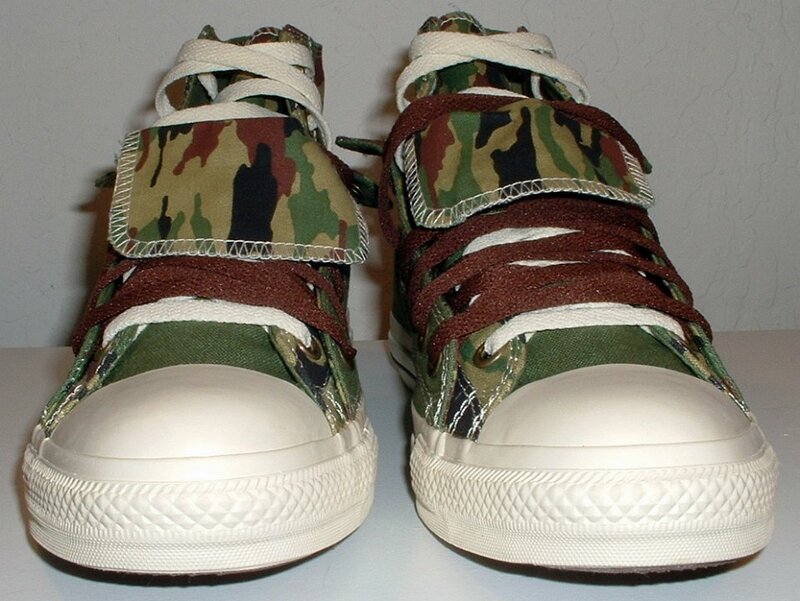 These shoes came with both brown and white laces. 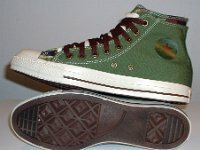 They also have double tongues.